Freeman: Guerrilla Warfare is a new single player game from KK Studios available now on Steam Early Access for a low price (€11.99). It blends elements of various genres (first-person shooter, roleplaying game and strategy) while putting players in the unique shoes of an army commander whose ultimate goal is to raise money to build an army and, eventually, conquer the world. There aren’t many first-person shooters that combine or strongly focus on strategy and role-playing elements. 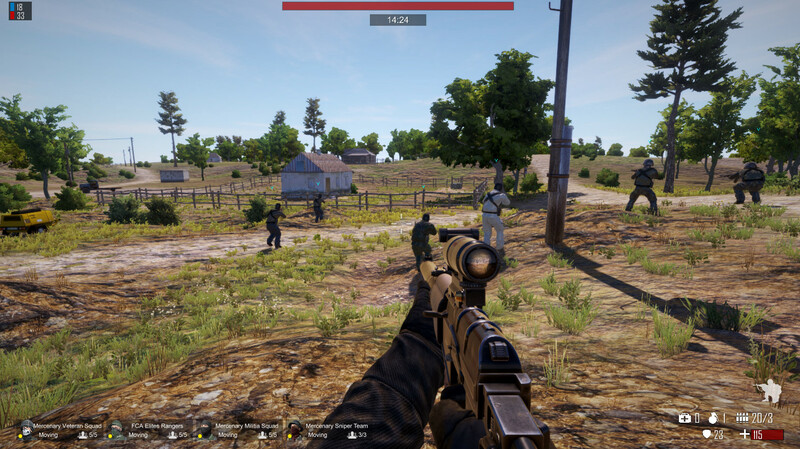 In Freeman: Guerrilla Warfare, we managed to marry the essence of first-person shooter, grand strategy and role-playing games into one unique hybrid game. We want to give players the freedom and challenge to choose their equipment, troops, tactics, enemies, and play-style. Our goal is to provide our players with the first sandbox FPS and grand strategy hybrid game that will allow them to experience shooters from an exciting new angle. The game is not just a shooter; it is about taking the role of an army commander and every action that players make will influence the next steps of their career. You can take a look at the debut trailer below.